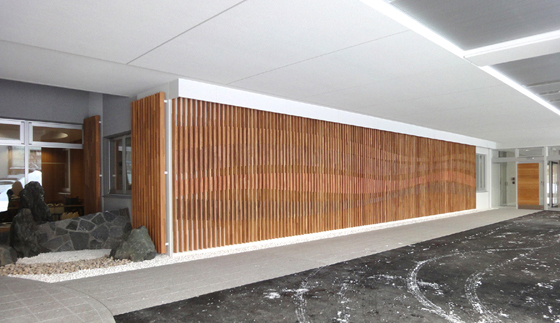 “Rakuseien” is a newly-built special care home located in the central area 500 meters away from JR Asahikawa station. It has its adjoining restaurant which is open for public use. where a restaurant was built. 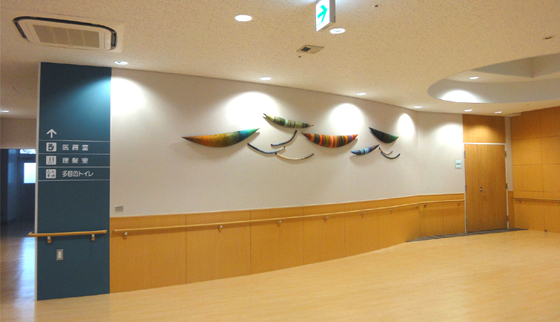 The concept for the artwork is “wind”, and it was taken from the corporate’s logo. 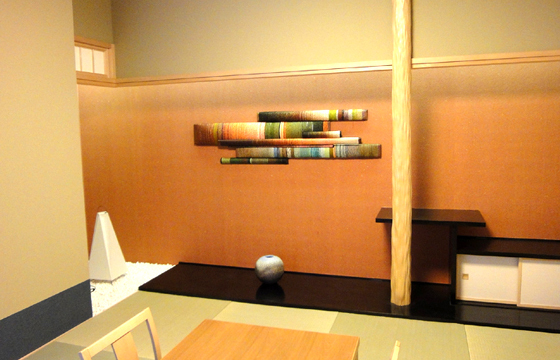 We’ve imagined the artwork would create comfortable and friendly environment filled with warm breeze.